About the Award: VIU has been attracting individuals who take their VIU experiences into their own cultures, share their knowledge with future generations, and launch successful careers. Thus, there are several different types of scholarships available based on exemplary personal skills, academic achievement, extracurricular participation, on-campus work, and residency. All submissions must be scanned, color copies of the original document. Samples of these documents may include transcripts, diplomas, certificates, and test scores. Photocopies are NOT considered acceptable documentation. If any document is issued in the applicants’ native language, they must provide both the original document and a translation of the document in English. Translated documents must be notarized. VIU has the right to request original documentation. Submission of fabricated or false documents will result in disqualification from future scholarship application. 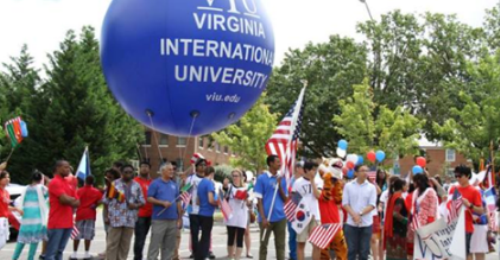 Now that all the information about Virginia International University (VIU) Undergraduate and Postgraduate Scholarship for International Students has been delivered nicely; interested and talented students who are eager to pursue their Free Tuition/Scholarships/Study in USA can apply now.